Recording Title: "Oh! 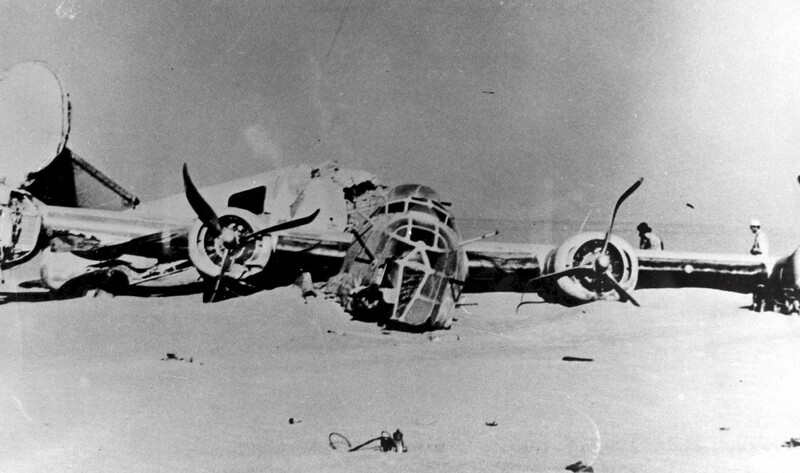 Lady Be Good"
The American B-24 Bomber Lady Be Good departed a Libyan Air Base on a bombing raid in April 1943. She did so into a sandstorm, and disappeared for 15 years. World War II raged, and then ended. Still, the whereabouts of the Lady Be Good remained unknown. It was thought the men had crashed into the Mediterranean, but in 1958 the nearly-intact bomber was found over 400 miles inland. Remains of 8 of the 9 crew members were found, some over a hundred miles north of the crash site. And, because everyone seemed to back then, they kept journals of their trek. To read excerpts, click to visit http://www.ladybegood.com, an excellent, and exhaustive site. I’ve been looking using the web quite several hrs at the moment, but do not ever spotted any existing attention-grabbing page similar to the one you have. It is really beautiful worth good enough in my view. In my personal opinion, if all internet marketers and bloggers constructed excellent articles items you probably did, cyberspace will most likely be far more valuable than everbefore.I am going to book mark these pages !! Will truly read for a second time !! Thanks for your useful details.